Modeled on the top selling Izoard XP men’s road bike, the ‘Stella’ is Wilier’s lastest foray into women’s cycling since the Mimosa XP in 2011, and it looks absolutely lovely. 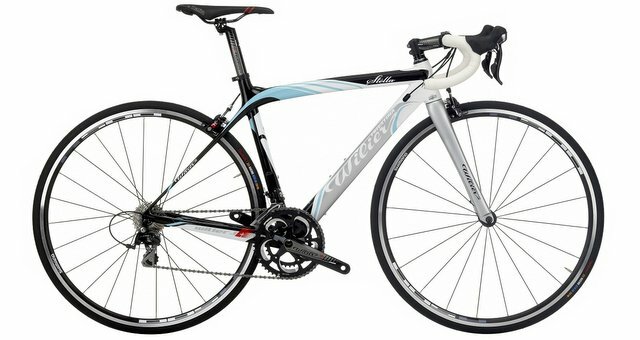 Considering the frequent debate over whether us ladies need female specific geometry for our bikes, it’s interesting to note that the Stella’s frame and fork are identical to those on Wilier’s Izoard, having been proportionally sized down on this women’s road bike. So in essence, the Stella is a small Izoard equipped with well thought out female specific parts and a really nice ladies paint job. I put the Stella through it’s paces for Total Women’s Cycling and in the end I had mixed feelings about it, largely due to the choice of components. You can read the review here, and check out how it fared in my first road race here.